The University of Arizona Sky School provides place-based and inquiry-based science education programs to Arizona K-12 students. Using the unique sky island environment in the Catalina Mountains, we strive to merge a wide variety of science and engineering disciplines to foster a deeper understanding of our earth, while building an appreciation for our sense of place. Operating under permit from the United States Forest Service, our programs are delivered at the UA SkyCenter at the summit of Mt. Lemmon and also at schools throughout the state. We additionally provide teacher development opportunities and research apprenticeships for students. 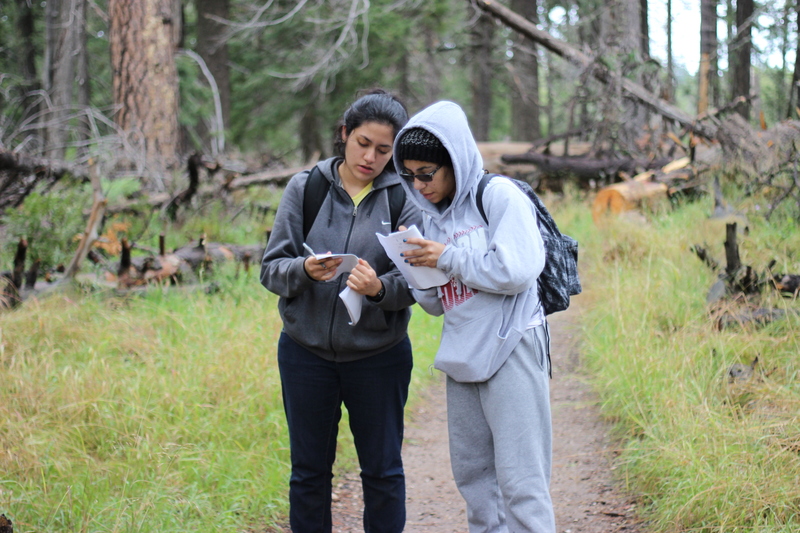 Programs are taught by a team of passionate graduate instructors and focus on core University of Arizona science areas such as sky island ecology, geology, and astronomy, and meet Arizona State and Next Generation Science Standards. I really enjoyed the opportunity to travel and conduct scientific experiments with real scientists. It gave me a chance to imagine my life in the outdoors. Every activity really had a purpose and impact. Every student was able to tell me in animated detail about their experience with star gazing, seeing galaxies they never knew existed before, of the process of taking tree sample cores and what the rings told them about conditions on the mountain, and their interaction with testing the soil of burned land compared to non­burned land. The excitement in their voices and their ability to discuss complex science process in simplistic terms demonstrates that the UA grad students successfully connected with students on a level they were able to comprehend.